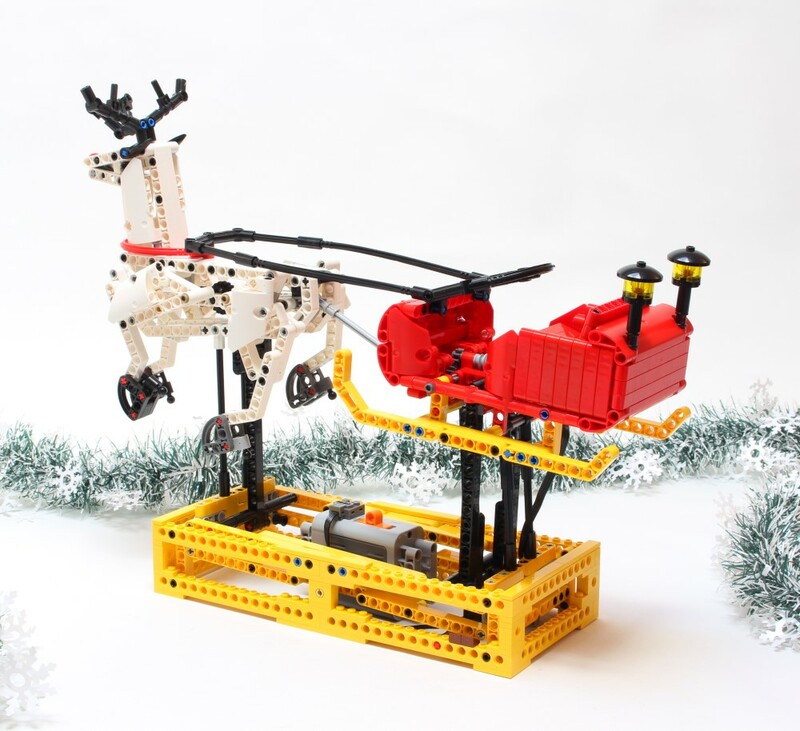 A perfect Christmas gift for Lego fan. 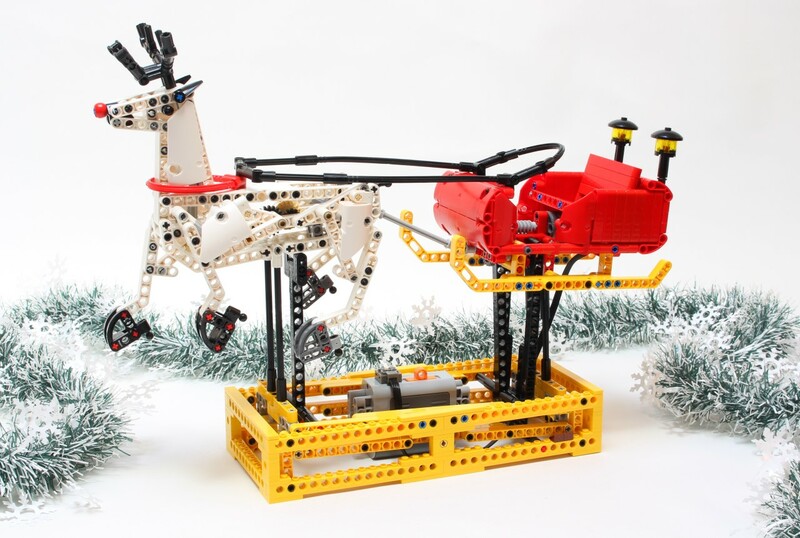 A kinetic sculpture of a Christmas Santa Sleigh with electrical motor and battery box included. You can find more pictures, informations and watch sample of the instructions on my blog. Dimensions : 40cm -L) x 12cm (W) x 32cm (H). Please note that the bottom yellow frame of this sculpture is not yellow but supplied in black version. The PDF building instructions are included.